Brisbane Youth Service and Open Doors Youth Service ran an 8-week art therapy program last year for LGBTIQ+ young people called ‘Art for Change’. The program resulted in the creation of a series of 10 post cards featuring art work by young people and information about change, that challenges common misconceptions. 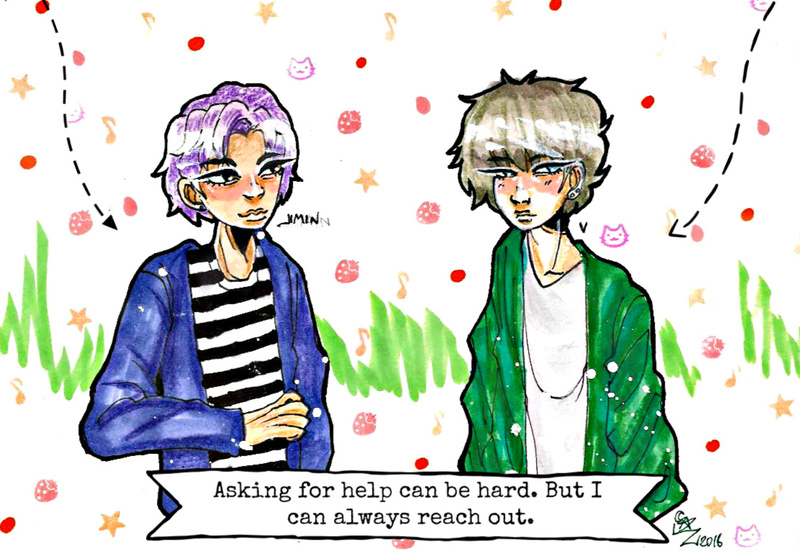 The post cards encourage young people to seek help, when needed, and start a conversation about the changes they would like to make around drug and alcohol use, and other important health issues. 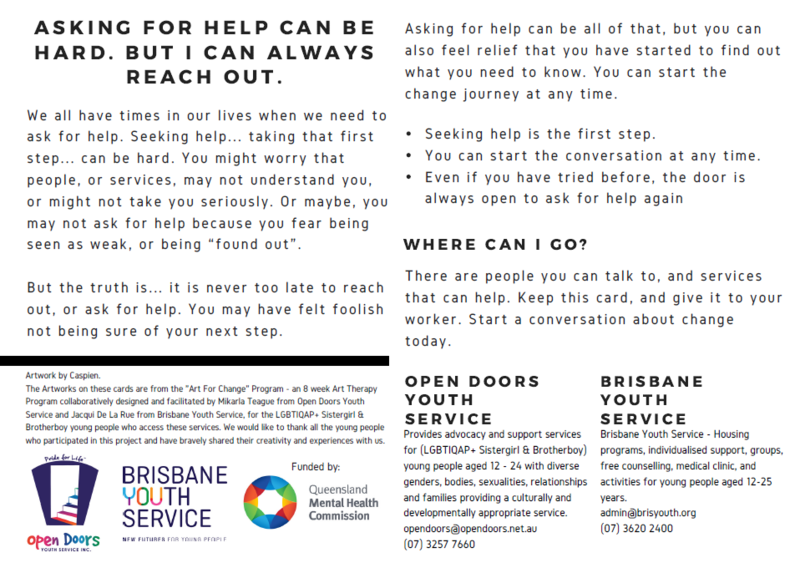 The cards will be used by Brisbane Youth Service and Open Doors staff to start difficult conversations with young people about life changes. 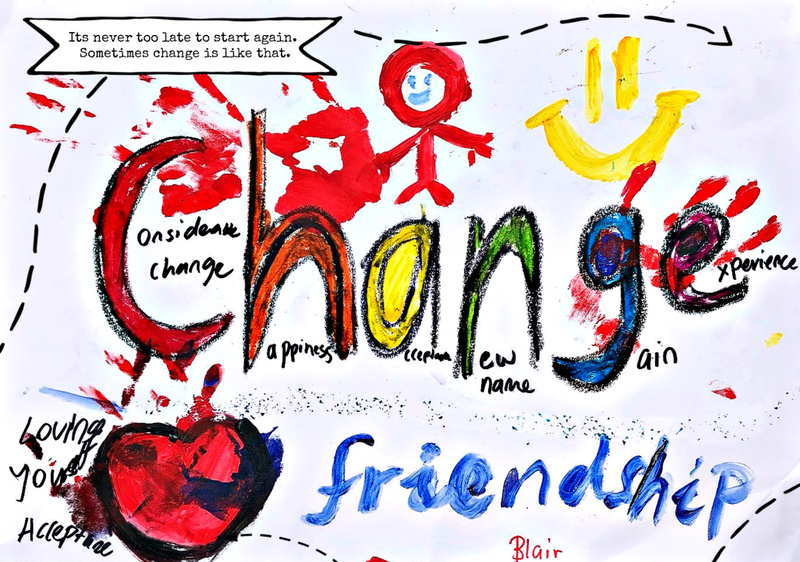 The Art for Change Project served as a powerful tool for opening dialogue about the complexity of the change process for young people attending Open Doors Youth Service and Brisbane Youth Service. Young people participated by getting creative and expressing their experiences and perceptions of change through artwork and words. The program also provided an important opportunity to understand the experience of change from the perspective of young people, and to understand their key challenges in starting a change process. 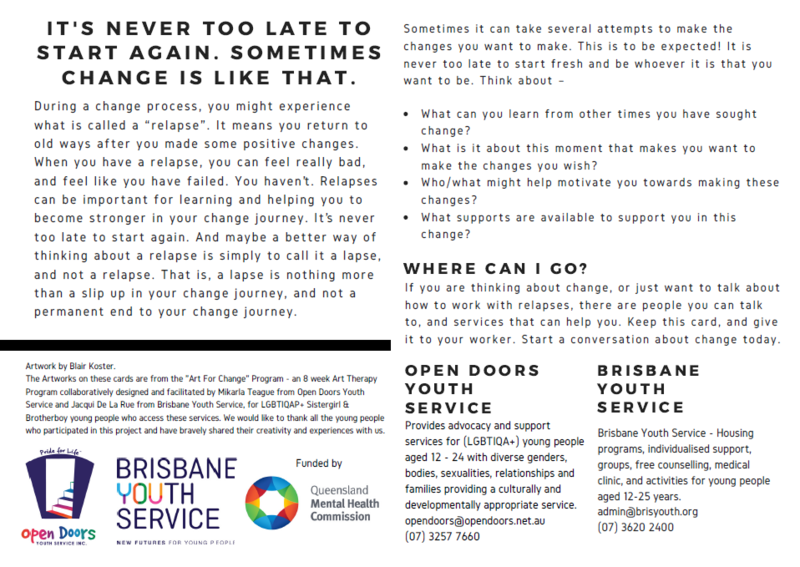 Data from the Brisbane Youth Service counselling program told us that young people lacked a resource that could help them start a conversation about change… These cards are built from young people’s lived experience and are presented in a format that young people are likely to engage with. The Art for Change project was funded by the Queensland Mental Health Commission. Open Doors Youth Service provides advocacy and support services for (LGBTIQAP+ Sistergirl & Brotherboy) young people aged 12 – 24 with diverse genders, bodies, sexualities, relationships and families providing a culturally and developmentally appropriate service.